We are a leading Manufacturer of utility cart from Pune, India. We are engaged in offering high quality Utility Cart to our clients. These are widely used in hospitals and medical offices. These utility carts help transport and hold goods. 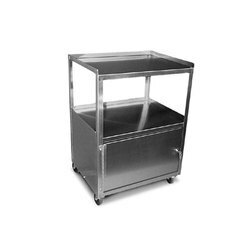 These carts are made up of high quality stainless steel and are highly demanded.